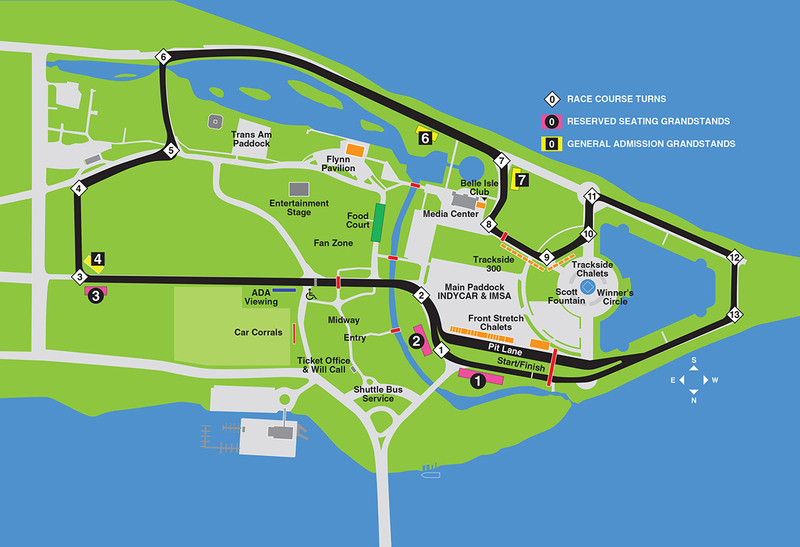 The Verizon IndyCar Series made its debut on Belle Isle in 2007 at the Chevrolet Detroit Belle Isle Grand Prix. In 2013, the series began hosting two races in one weekend on back-to-back days, known as the Dual in Detroit. In 2019, the series became known as the NTT IndyCar Series. The TUDOR United SportsCar Championship competed as the unified sports car series for the first time on Belle Isle in 2013 at the Chevrolet Detroit Belle Isle Grand Prix. the Series also competed in 2014 on Belle Isle. The Series became known as the IMSA WeatherTech SportsCar Championship in 2016. The GRAND-AM Rolex Sports Car Series debuted on Belle Isle in 2012 at the Detroit Belle Isle Grand Prix. The American Le Mans Series made its debut on Belle Isle in 2007 at the Detroit Belle Isle Grand Prix. Championship Auto Racing Teams (CART) raced on the streets of downtown Detroit from 1989 through 1991 before moving to Belle Isle, racing at the island course between 1992 and 2001. The international Formula One series raced on the streets of downtown Detroit between 1982 and 1988.